Kristen Anderson attempted suicide by lying on the tracks in front of a moving train. She was run over by 33 freight train cars going 55 miles per hour, yet survived–losing only her legs (and eight pints of blood). She shouldn’t be alive, but God protected her, then wooed her into a life with Him. This is a really remarkable story! Kristen shares the deep pain she felt leading to her decision to take her life, the details of the accident and aftermath, and the process she went through to discover God and her calling. She had been told by most of her family and friends that had she succeeded in killing herself she would be in heaven. But one women told her otherwise–maybe not as tactfully as she could have–which caused Kristen to consider deeply her salvation and what it means to be saved. She realized that, in fact, she was not a Christian and that going to church was not enough. I love the way she walks readers through her discovery and personal decision to follow Jesus, and her honesty in sharing her struggles and sanctification process shortly after making that important decision. Kristen now heads a non-profit, Reaching You Ministries, which focuses on touching those who are going through similar hurts that she experienced (especially depression and suicide). I recommend Life, In Spite of Me to teens or adults who struggle with depression and suicidal tendencies or who want to help a loved one through these struggles to freedom in Christ. I received a complimentary copy of this ebook from WaterBrook Multnomah. Even when faced with terrifying threats, physical attacks, and the impending harm upon their family, Rebecca’s parent’s, Robert and Ramona Nichols, refused to step outside of God’s will by fleeing the community and church to which they had been called. Their bravery cost their family almost everything; but as Rebecca shares of the events surrounding the ultimate moments of tragedy in her young life, she also shares how the love of Jesus exuded by her parents transformed her life into one of unconditional love and forgiveness–even for her enemies. Her comments toward the end of the story regarding forgiveness are especially powerful, and her testimony of hurt and forgiveness are worth reading and repeating. From a literary perspective, I unfortunately did not enjoy the story as much. It is such an amazing testimony, and yet, structurally, it did not come together as cohesively as I think it could have. 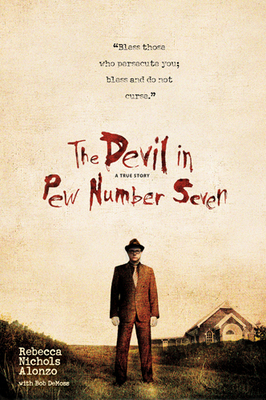 The story hinges on one villain (“the devil in pew number seven”) and one climatic moment of loss and tragedy–except that these are actually completely separate events; only in the epilogue does Rebecca reveal a small connection between the two. A lot of the story, consequently, felt scattered to me–still heartfelt storytelling, but unfocused and giving too many irrelevant details. I recommend this book to other readers based on it’s content, but only with the disclaimer that it is slow, unfocused, and in-cohesive–a bit of patience is needed to hear the wisdom between the lines.